Here is the golden opportunity for the aspirants who have a dream to work with the banking sector. 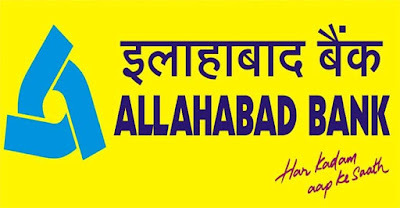 Recently Allahabad Bank has published a job notification for the Specialist Officer Vacancies. As per the Allahabad Bank Recruitment 2019 details total, there are 92 vacancies for the said positions and application has been called form the eligible aspirants to apply for the said post. Step 2: Now press the “careers” link from the top menu bar of the home page. Step 3: Thereafter on the next page go to “SPECIALIST OFFICERS' RECRUITMENT PROJECT 2019-20” notification and hit on the “ADVERTISEMENT” link. Step 4: Read the notification details and check the eligibility terms. Step 5: Now go back to previous page and press the “ONLINE APPLICATION” link. Step 6: Thereafter press for the “Click here for New Registration” link already registered candidates have login by providing login details. Step 7: Now fill the application form, upload the scanned copy of required documents and pay the application fee. Step 8: Finally submit the form and print a copy of the same for the future reference.